Engine technology. The fast and efficient route to series production. 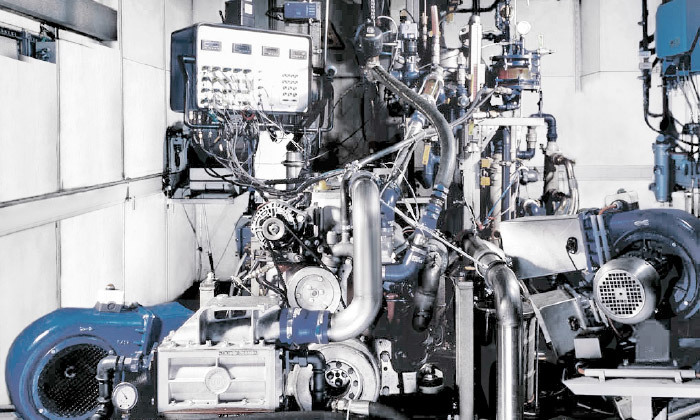 ElringKlinger Motortechik GmbH offers automobile manufacturers and automotive suppliers engine development and testing services aimed at optimizing engines and exhaust gas aftertreatment systems. Among the key objectives in this process are the reduction of fuel consumption and emissions as well as compliance with increasingly stringent emission standards worldwide. We simulate all test environments and non-stationary driving conditions on dynamic, cutting-edge test benches: from optimization of engine cold start performance to durability testing and engine management optimization. As a result of our work, time-to-market can be significantly reduced. For further information please visit the ElringKlinger Motortechnik GmbH website.